Right from its debut in 1996, the Lotus Elise gained a reputation as one of the most exciting sports cars in the world to drive, but even then there were some enthusiasts that wanted something just a little more extreme. The answer came in 2000, when Lotus unveiled the Exige – effectively a stiffer, hardtop coupe Elise built atop the same extruded aluminium architecture and powered by a more potent engine – in this case the VHPD (or Very High Power Derivative) of Rover’s 16-valve K-Series unit, which in Lotus-tune developed an impressive 177bhp – or 190bhp if you opted for the track version. The Exige was an instant hit with sports car enthusiasts, its sharper steering, even stiffer suspension and enclosed cockpit giving it the sensation of a GT sports car for the road. It was arguably less pretty than the Elise, but its purposeful appearance made no bones about its performance, With a 0-60mph time of just 4.7 seconds, it was certainly lively enough. There Series 1 Exige, which had the Rover engine, remained in production for two years before being taken out of production to make way for the Series 2 Elise, which used a largely unchanged structure but had a few styling tweaks, such as more rounded side scallops and larger headlamps. It was still recognisably the same car, though. The biggest change was mechanical, with the Rover K-Series engine dropped in favour of a normally-aspirated Toyota unit with variable valve timing, as found in the Celica VV-T.
A Series 2 iteration of the Exige wasn’t available at first, partly because Lotus wanted to focus its limited manufacturing capacity on the better selling Elise, but also because the Norfolk-based sports car maker wanted the next Exige to be something of a signature of its engineering ability. 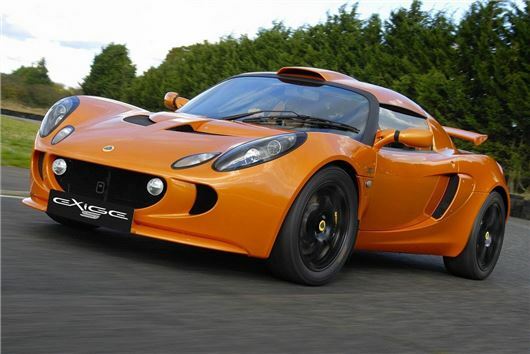 In 2005, the ultimate Exige arrived, complete with a supercharger. The 240R was only available in yellow or black to match the Team Lotus racing colours, and saw a power increase from 190bho to 243bhp and a sub 4.0-second 0-60 time, though the overly eager acceleration meant that the normally-aspirated car was arguably the most engaging and best handling of the two. There followed a plethora of special editions, all built in limited numbers, with the Exige’s 2011 swansong coming in the form of the 260S – another experiment with supercharging, but this time with 257bhp. The name would return two years later, but this time the Exige was the Elise’s larger, V6-engined sister rather than a coupe based on the same set of parts, and in many ways that extra maturity removed some of the original Exige’s purity. That first Exige doesn’t need to worry about becoming a future classic, as it was born one.